This week in Plume Voyage Magazine: The Buddha-Bar Paris is opening a “Clicquot Lounge », FoodChéri is celebrating the Iranian New Year, The cuisine of Haute-Savoie invites itself at the Pavillon Ledoyen, Morocco’s guest of honor for the Livre Paris. Marcella, Italian getaway in the 17th arrondissement, L’Abattoir végétal, a new vegan address in Montmartre, Les Climats open their wine cellar restaurant, La Fourchette du printemps, discrete star of the 17th arrondissement. 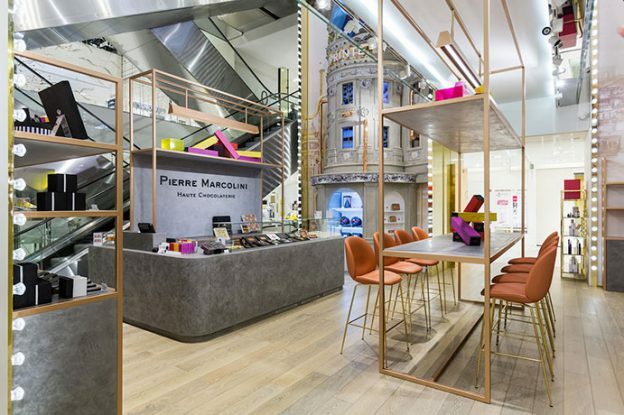 Dive into the history of video games, La Marée Jeanne launches the “Fashion Wuitre », Pierre Marcolini is opening his first chocolate bar at the Printemps,Luxury cooking classes at the Grand Véfour. Happy Paris ! 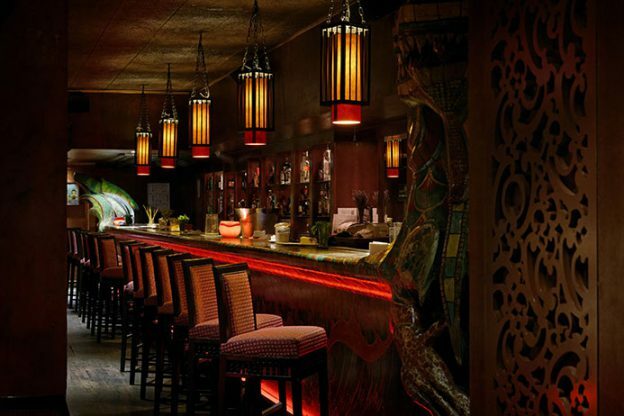 The Buddha-Bar Paris is opening a "Clicquot Lounge"
Until the 17th of April, the house of Champagne Veuve Clicquot is installed on the mezzanine of the Buddha-Bar Paris. Jean Munis, the barman chef has selected some emblematic bottles available for tasting including the Brut Carte Jaune, symbol of the house since 1772, but also some of the latest creations. He also designed three cocktails on the occasion, one based on black tea, grapefruit or pineapple and lime. Enjoy sushi, sashimi and other Asian delicacies made by chef Limura Shijeki in the cozy atmosphere of the place. The delivery service of cooked dishes at home is offering you to discover Persian flavors on the occasion of the Iranian New Year. 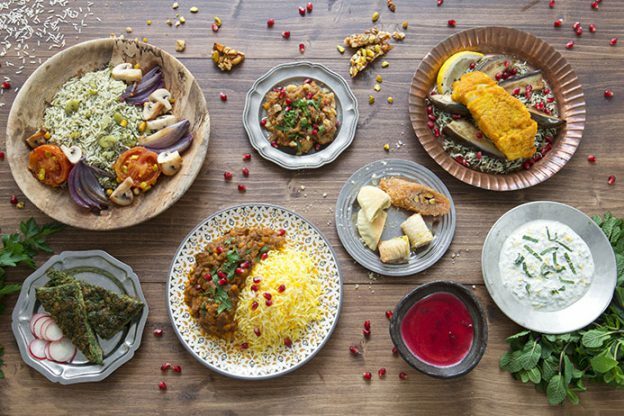 Patrick Asdaghi, the founder of FoodChéri and native Iranian, asked Mazeh restaurant manager Sam Tavassoli to make nine recipes (3 starters, 3 courses and 3 desserts) to discover for Norooz on the first day of spring. The opportunity to discover a rare traditional cuisine, which offers a great variety of perfumes mixing saffron, pomegranate juice, dried Shiraz lime, green date … A real culinary journey to discover in three steps: every day a new menu is offered from the 21st to 23rd of March. To celebrate its three stars obtained for the restaurant Le 1947 in Cheval Blanc Courchevel, Yannick Alléno, also a three-star chef at the Pavillon Ledoyen, is offering to extend the skiing season in the Champs-Elysées gardens. Until the end of April, Les Cariatides is redecorated as a chalet. 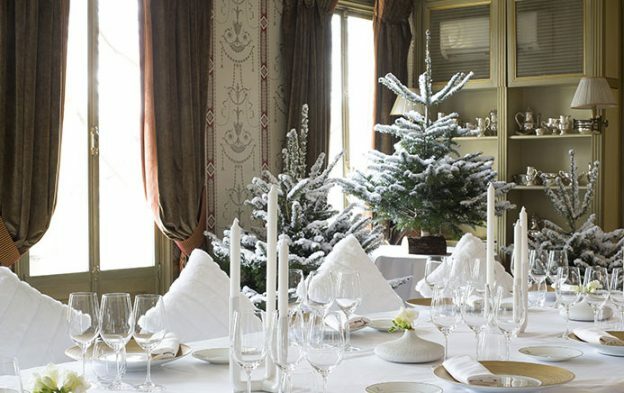 White trees and sheep skins create a warm and friendly atmosphere for meals that take up the emblematic recipes of the establishment of Courchevel 1850. Yannick Alléno offers bold mixes that sublime mountains, with divine sauces for a great moment of gastronomy. The Livre Paris Fair is welcoming Morocco this year as a guest of honor. 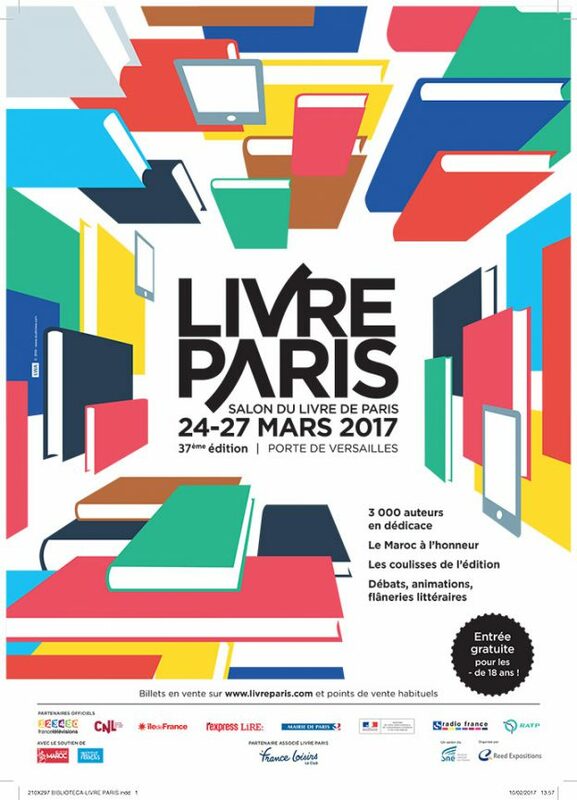 From the 24th to the 27th of March, more than forty authors, internationnally recognized and new talents, reflecting the diversity and dynamism of contemporary literary creation, will be present at the Porte de Versailles Exhibition Center. This 37th edition of the fair is held under the sign of conviviality and openness to all literatures with also the presence of numerous international authors including Senegalese Souleymane Bachir Diagne, professor of philosophy in Columbia, but also Americans Louis Erdrich And Phhilipp Meyer and the manga writer Chie Inudoh. In Villiers, in the 17th, there are certainly a few breweries, but not so many restaurants. Unless you cross the gate of Marcella and plunge into the heart of a chalet of the Adige. 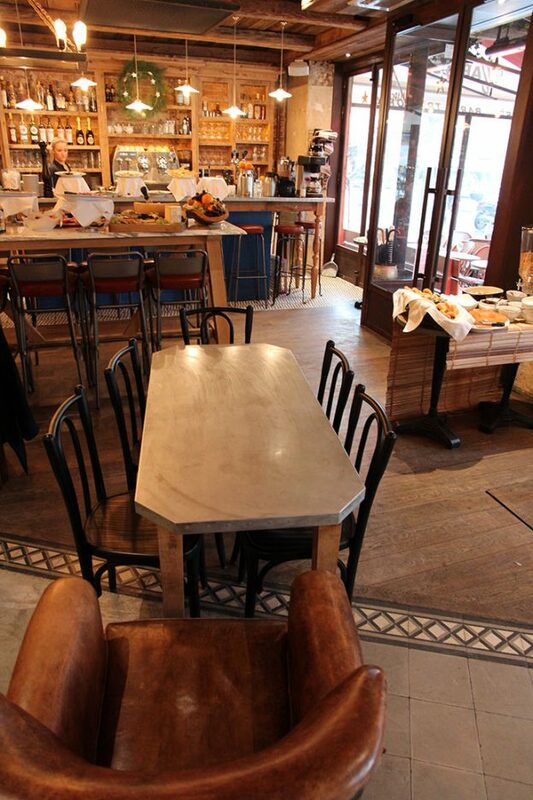 Walls and ceilings clad with wood, simple tables, comfortable armchairs, everything is done here to make you feel good. As for the menu, it takes you on a gustative journey entirely dedicated to Italy. Nothing revolutionary, but well done, with good products that have good taste and generous portions. The vitello tonnato comes in two serving sizes, depending on whether you have a big or a small hunger. The pizzas are “al taglio », sliced, like in Rome. And those who can not survive without their burger will find even a “Riviera” version … A pretty selection of wines by the glass. We juste have to wait for the beautiful days to enjoy the large terrace! A funny name will you say for a place dedicated to vegetarian cuisine? In fact, it is a nod to the past: The Abattoir végétal has been installed instead of an old charcuterie from the 18th arrondissement. 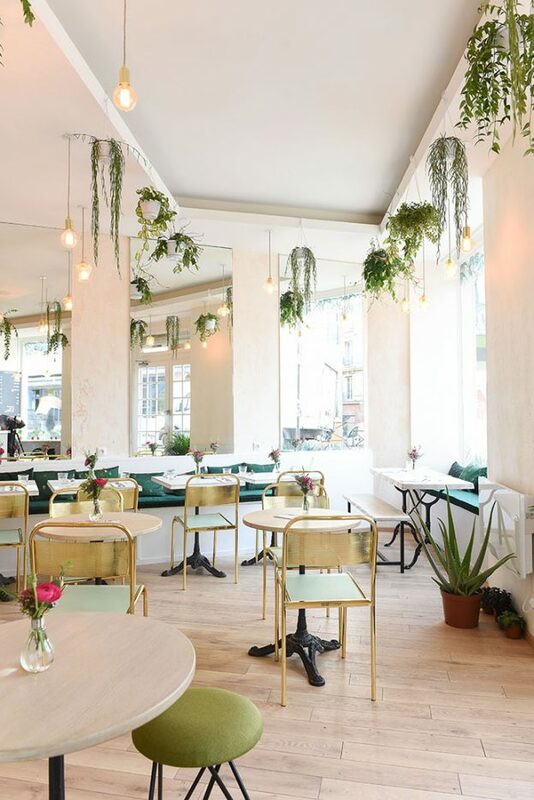 At the origin of this new concept, a young couple who wants to propose a place where healthy foods would rhyme with greediness in a space dedicated to relaxation and quietude, a few meters from the mairie of the 18th. Here, the chef only works with fresh and organic fruits and vegetables to produce dishes and drinks. The plates mix fondant and crunchy, flavors and colors for moments of pleasure. Open in the morning, L’Abattoir végétal welcomes you for a coffee while waiting for lunch time, a gourmet break for the afternoon tea and dinner time. And of course, on the weekend (Saturday and Sunday) brunch is served with a special 5€ formula for children. And to bring back a little bit of freshness at home, you can always go through the grocery corner that offers products from Parisian brands. 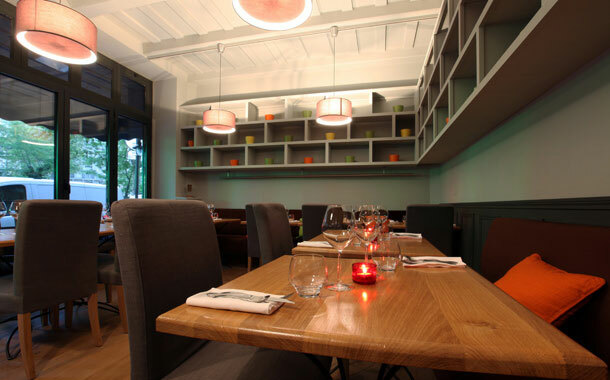 Lovers of Burgundy wines know Les Climats restaurant by heart, located close to the Musée d’Orsay. 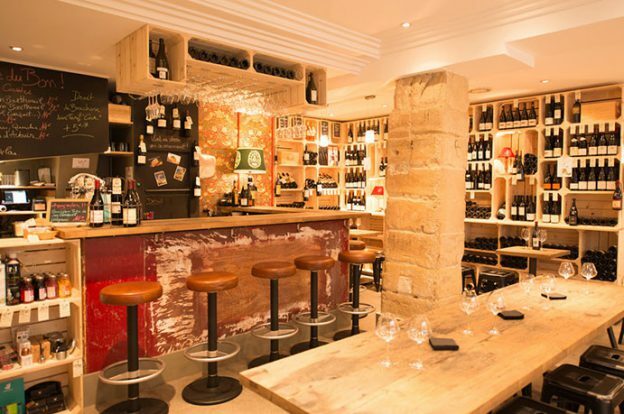 Carole Colin and Denis Jamet, who started this unique place in Paris, are opening today a wine cellar restaurant, a few meters away. Of course, you can find all the most beautiful appellations of Burgundy, 60% of the references offered here, but also the favorites of the duo who allows a few infidelities to pinot noir. The decor ? A nice bright bar, with light wooden walls and William Morris “tapestry” wallpaper. On the menu, you can enjoy a moment of calm and nibble boards of cold cuts and cheeses, smoked salmon and seasonal products while enjoying a drink. And if the bottle is not finished, we can leave with a “wine doggy bag”. Open from 3PM to 11PM, the cellar of Climats allows to take a break before a dinner or to take an aperitif. In this inanimate part of Boulevard Pereire, restaurants are rare. And the starry tables even more. Nevertheless you should keep going until you reach the small street of Printemps to discover the address opened by Nicolas Mouton and rewarded in 2011. A real good surprise awaits the lovers of discovery. In the small room simply decorated with a bobo loft style (the Batignolles are not far),we enjoy some of the creations of the chef which prove his reward. 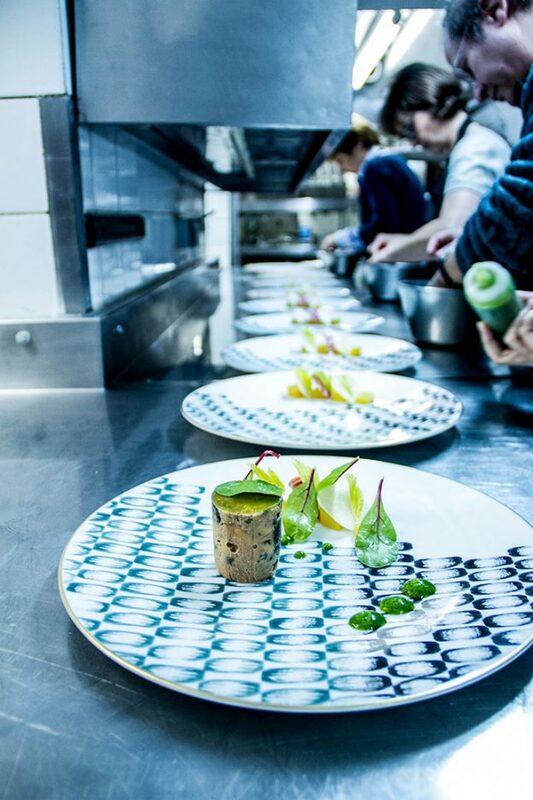 The dishes are chiselled, the cooking is precise even if the presentation of certain plates can surprise. It must be said that the young chef went through excellent house, such as the Bristol and the Crillon where he acquired technical skills and precision. A real good surprise. Pac-Man, Lara Croft or Pokemon Go enthusiasts ? 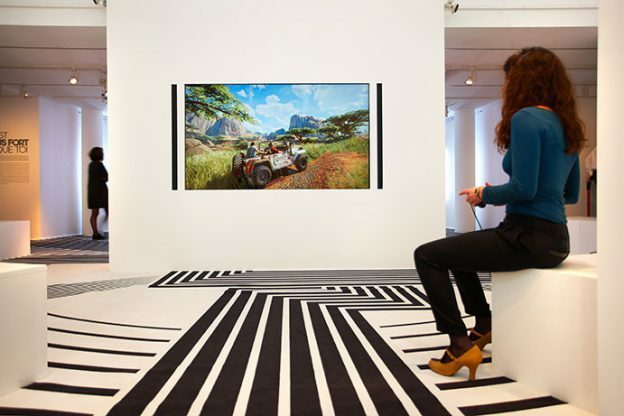 The EDF Foundation is offering you the opportunity to see all the video games that have been entertaining adults and children for decades with the exhibition “Game”. Sixty games, some playable, are presented and allow to go back in time to discover the evolutions and the revolutions of this sector in full development. The course unfolds in three spaces, with a reversed chronology, from virtual reality to the prehistory games, via the mascots and some emblematic landmarks of the golden age of the arcade. 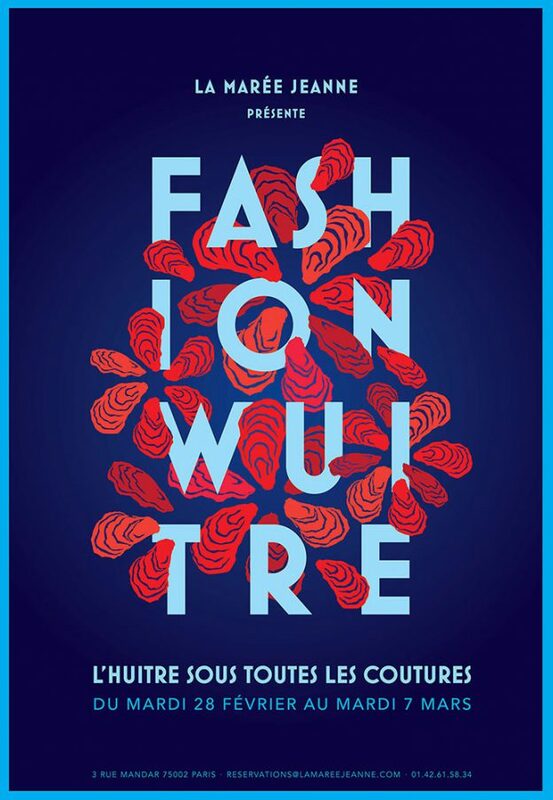 La Marée Jeanne launches the "Fashion Wuitre"
For a few days, Paris heart beats at the speed of the fashion shows on the occasion of Fashion Week. To follow the fashionistas in their marathon and to offer them light meals, the Marée Jeanne restaurant, with its colorful pop decor, is offering a selection of oysters for the “Fashion Wuitre”. Warm or cold, flat or hollow, the oysters are available in” all shapes and colors to fill up with mineral salts, perfect to face the many runways. With humor in addition. Until May 6th, you can discover all the creations of the chocolatier in the atrium of the department store. Pierre Marcolini is offering, for the first time in Europe, a chocolate bar with cocoa drinks and infusions, to be tasted on the spot or in a “take away” version. The opportunity to also discover his permanent collections and iconic creations: chocolate boxes, tablets, hearts, macarons and financiers. On the occasion of the 25th anniversary of the emblematic restaurant of the Palais-Royal gardens, its Michelin-starred chef Guy Martin is offering to share a moment of conviviality in a small committee (12 seats max) around gastronomic recipes that have made the success of the Grand Véfour and through cooking classes. Four workshops are offered three weekends a month for four different experiences, in 2.3 and 4 hours plus a special pastry workshop. Notice to the amateurs.